refill of leather ball pen and leather ballpoint pen: Metal refill. (Standard rollerball refill, ball pen refill is Long cross-type.) Long shelf-life about 1.5 years -3 years. Ink color of leather ball pen & leather pen: Blue, Black, Red. 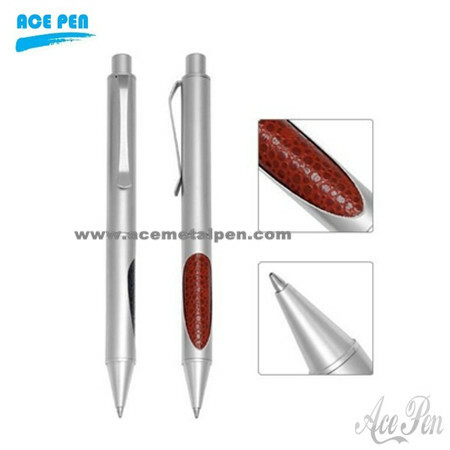 Color of leather ball pen & leather pen: Black, Red, Orange etc. Our leather ball pen & leather roller pen: were Smooth writing Long shelf-life about 1.5 years -3 years. Certification of leather ballpoint pen: EN-71 Standard, Low-cadmium report, SGS report, ASTM. Customer's logo and color were accepted. Further information please feel free to contact us.